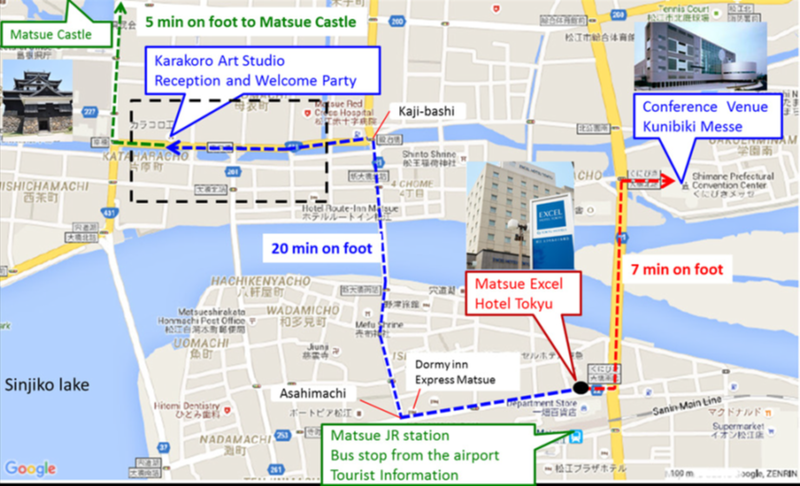 The welcome reception will take place from 5pm, June 3rd at Karakoro Art Studio ("Karakoro Kobo" in Japanese). The registration desk will also be opened there from 3pm. You can enjoy shopping, and activities there if you get there earlier. For reaching there, please follow the route shown below.